Two estranged childhood best friends unexpectedly travel through a portal into another, spookier world where they attempt to create the greatest documentary of all time. Jane Langstaff and Heather Meadows have been to the other side...and now it’s just a question of how to bring proof back home with them. And then there’s the question of how the portal got there in the first place...and whether or not the town of Spectrum, South Dakota is safe, or monsters are about to start pouring through to our world. Not to mention, with Gardt facing the consequences for Jane and Heather’s invasion, have the girls actually been the monsters all along? 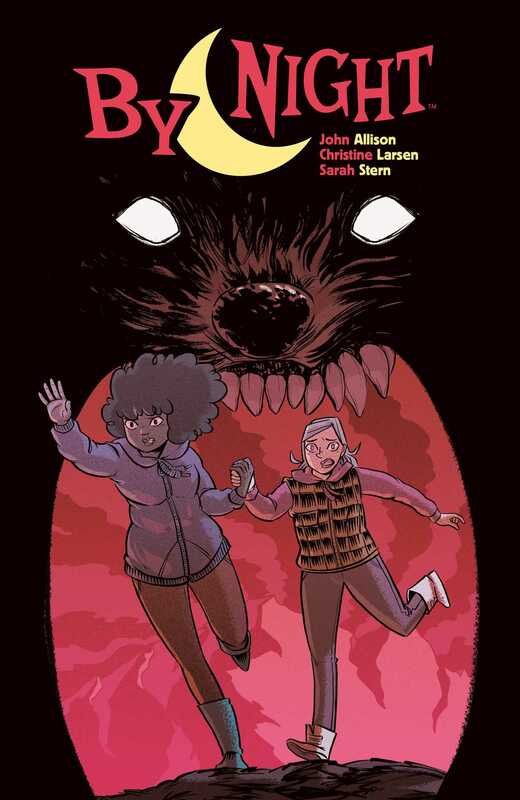 From Eisner Award nominee John Allison (Giant Days, Scary Go Round), and artist Christine Larsen (Adventure Time), join Jane and Heather as they journey into Eidolon and a mystical world of adventure and laughs!